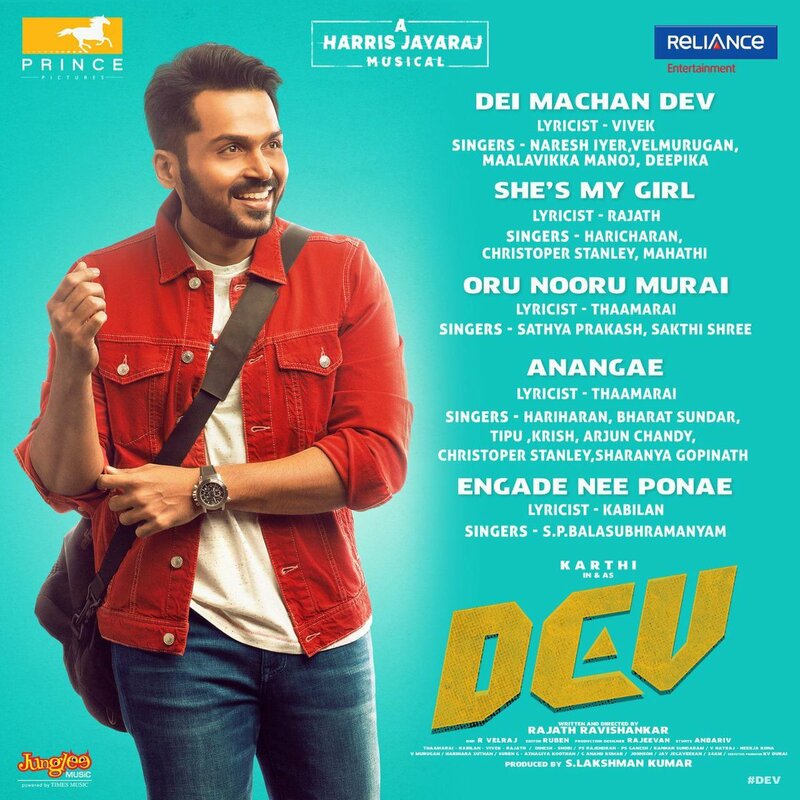 Karthi's Dev Audio Track-list is Here! Karthi's upcoming biggie Dev directed by debutant Rajath Ravishankar is bankrolled by Prince Pictures and Reliance Entertainment. The exciting flick has Rakul Preet Singh as the lady lead and the talented actress has joined with Karthi for the second time after Theeran Adhigaaram Ondru. Harris Jayaraj has composed the music for the film and the team had released a single track titled 'Anangae' from the movie. Earlier, we had reported that the Harris Jayaraj album will contain five exciting tracks and the jukebox will have a length of 25 minutes. And now, the team has released the official tracklist of the movie and similar to our news, the album has five exciting tracks.